“Fascinating from the first page,” Deadly Lullaby now on sale for 99 cents! Deadly Lullaby, a father-son crime fiction novel, has been described by readers as “captivating from the beginning . . . with a twist and a lot of hard packed action”, “a great surprise”, “A different kind of beautiful”, a “wonderful original take”, and “fascinating from the first page”. 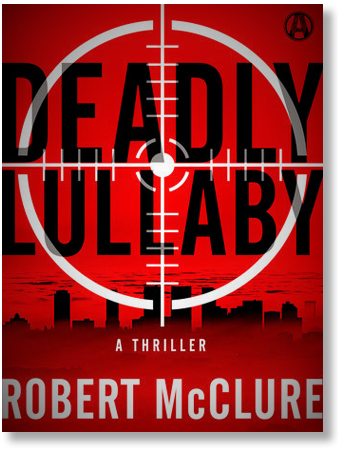 Litstack, a cozy little bookshop, has chosen Deadly Lullaby by Robert McClure for its December 2015 giveaway. Post a comment for chance to win! Deadly Lullaby Novel Garners Another 5 Star Review!